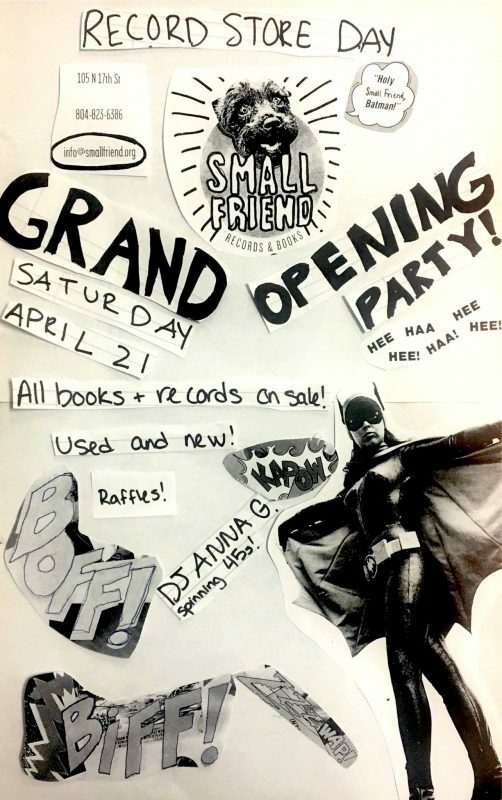 New Record Store in Shockoe Bottom: Grand Opening Party! 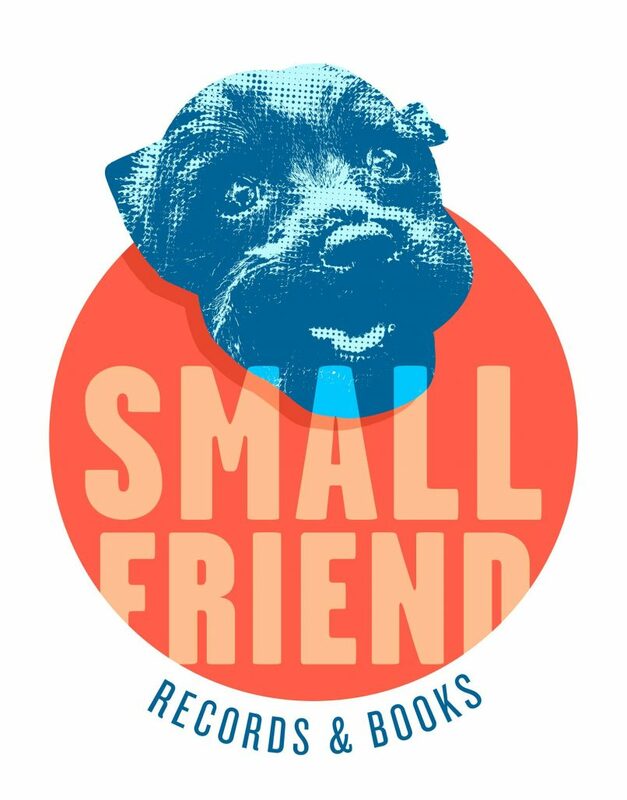 A new store is opening up in Shockoe Bottom “Small Friend Records and Books “! Celebrate Record Store Day AND the opening of Richmond’s newest record store! While we don’t have any RSD exclusive releases this year (we didn’t know if we’d be open in time! ), we’ve got plenty of other treats for you! – Everything in the store on sale! Used and new! Books and records! – DJ Anna G of Rockin’ Modern Neon Sounds on WRIR playing records to get you moving! Bring your dog! Bring your kids! Bring everyone you know! Perfect! I will be there!